Shopping for a new Cadillac Escalade? It's expensive, but it's hard to ignore all the Cadillac Escalade Platinum brings to the table. Avoid the long-wheelbase ESV unless you're desperate for extra space. The 2018 Cadillac Escalade is aging, but it can still hold its own among other luxury SUVs. Time and competitors have caught up to the 2018 Cadillac Escalade. In a bid to stay relevant with consumers, it's going to take more than bling to keep buyers back. The 2018 Escalade retains its 6.2-liter, naturally aspirated V-8 that pumps out 420 horsepower and 460 pound-feet of torque. 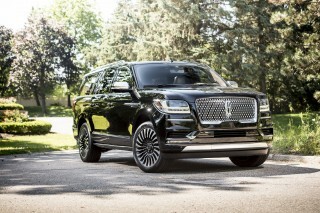 That powerplant now works alongside a 10-speed automatic transmission jointly developed between Ford and General Motors and shared with its rival, the new Lincoln Navigator. The gearbox helps elevate the Escalade's fuel economy—in theory, at least. The new transmission boosts the 2018 Escalade's fuel economy to 14 mpg city, 23 highway, 17 combined with rear-wheel drive, and 14/21/17 mpg with four-wheel drive. Prices for the 2018 Escalade start at $75,990 (including a $1,295 destination charge). That's $1,400 more than last year's model, although $100 of that comes from an increased destination charge. 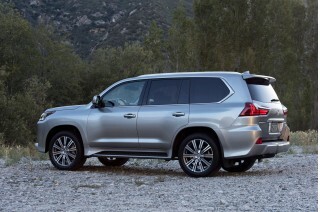 Four wheel-drive demands a $3,000 premium, while the long-wheelbase model has an identical effect on the price. The Escalade is offered in four trims: base, Luxury, Premium Luxury, and the range-topping Platinum, which starts at $95,090. Every 2018 Escalade comes with Apple CarPlay and Android Auto compatibility, so there's no need to interact with the occasionally frustrating CUE infotainment system. A surround-view camera system and front and rear parking sensors are standard that makes the big Escalade easier to navigate in tight situations. Alternatively, a standard automatic parking system lets the computers take over. Navigation, a heated steering wheel, a digital instrument cluster, 16 speakers, and adaptive ride control round out the Escalade's notable built-in features. An eye-catching exterior pairs with a cabin loaded with attractive shapes and sumptuous leather in the 2018 Cadillac Escalade. Imposing and unmistakable, the Escalade stands out on the road thanks to its brutalist shape and liberal use of chrome. The grille and headlights hail from the days when Cadillac's Art and Science design language was still cutting edge. Tall, slim taillights flank the expansive tailgate, serving as a forceful reminder of past Cadillacs. The cabin would give PETA fits. Leather is the dominant material, although there's smidges of wood trim. The biggest departure from the hides is the stretch of piano black plastic on the center console. While it's not cheap, the Platinum trim and its new, no-cost Maple Sugar interior scheme is Cadillac at its best. Like all Platinums, the leather is semi-aniline, but the Maple Sugar is dominated by rich, supple, tan leather. Unlike the three other shades available on lesser trims, which apply to just the seats and door panels and rely on black everywhere else, the Maple Sugar design covers nearly every part of the cabin. Imagine diving into a vat of melted caramel, and you'll have some idea of what the Maple Sugar interior is like. A new 10-speed automatic keeps the 2018 Escalade competitive among advanced competition. This is a truly charming powertrain. General Motors' excellent 6.2-liter V-8 truck engine generates 420 hp and 460 lb-ft and packs a smart cylinder deactivation feature that shuts off four cylinders while cruising. It's a smooth, refined, and predictable setup, delivering its power without any drama, while the cylinder deactivation feature is seamless in its behavior. It sounds good too; the Escalade lets just enough exhaust noise enter the cabin to remind its driver that the 6.2-liter in this SUV is a relative to the engine in the Corvette and Camaro SS. 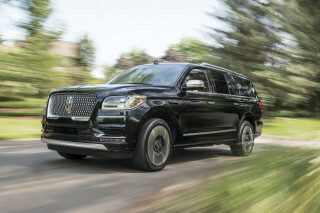 The 10-speed automatic feels better with this big V-8 than it does with the turbocharged V-6 in the Navigator, which is saying something. Upshifts are quick and downshifts are only noticeable under sudden hard throttle, when the 10-speed has to drop multiple gears at a time. 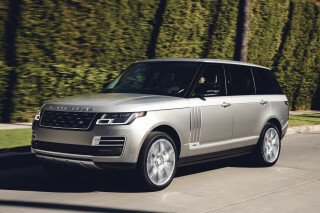 Even then, the 10-speed is at least as good as the 8-speed auto found in smaller luxury crossovers and SUVs, like the Range Rover Sport or BMW X5. Magnetic Ride Control is standard on all Escalades, and is tasked with managing the SUV’s prolific weight—not carving corners like other GM high-performance products with the feature. In that regard, it's successful. Even with the available 22-inch wheels, the Escalade manages potholes and imperfections well, offering up a stable ride that belies its truck-based underpinnings. Tipping the scales at more than 6,000 pounds in some configurations, the 2018 Cadillac Escalade is as heavyweight as passenger vehicles get. It’s not agile but at least it feels poised and competent when faced with a corner. On straight roads, its high-speed stability and outright comfort shine through—although not enough to hide the body-on-frame bones. Yes, there’s a traditional truck chassis underneath the Escalade’s brash body, which engineers at General Motors have tried to hide. The standard Magnetic Ride Control system soaks up bumps and imperfections well, and it prevents much of the secondary motion that makes body-on-frame vehicles so unrefined. We were still conscious of the impacts—our Platinum tester’s standard 22-inch wheels didn't help—but the bad manners, the shudder that runs into the body a split-second after it’s felt in the chassis, was minimal. 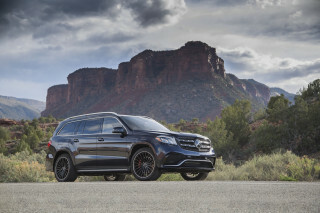 Roll, squat, and dive are present in the quantities we expect from a 6,000-pound SUV, but they’re not intrusive. 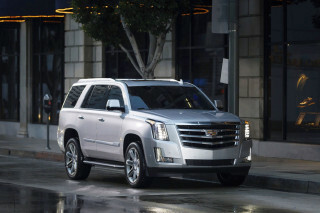 The Escalade’s motions are predictable and easy to manage. The engineers also managed to mask some of the Escalade’s heft via its steering. The relaxed 17.3:1 steering ratio is relatively slow, but it’s paired up to a finely tuned electric power-assisted steering system. The level of power assist is just right—the Escalade’s wheel is easy to saw at without feeling like a forearm workout, but the steering isn’t so light and lifeless, and the on-center dead zone not so large, that it feels disconnected from the front axle. A beautiful cabin, excellent front and middle seats, and a quiet ride help the 2018 Escalade stand out. The front seats feature 12-way adjustability as standard, although the top-end Platinum model features 18-way adjustability with three-stage massagers and cooling. Grabbing that model means enjoying semi-aniline upholstery along with the increased range of adjustability. During testing, we covered more than 700 ache-free miles in the Escalade's big driver's seat and wouldn't hesitate to do 700 more. The second-row captain's chairs are just as comfortable over the long haul, although they lose the cooling and massage function. Still, leg room is plentiful at 39 inches. Accessing the third row isn't a challenge, although its versatility over long distances really only applies to smaller adults or children. Taller passengers will definitely prefer the middle row's chairs over the back row's meager 24.8 inches of leg room. All Escalades come standard with active noise cancellation, which eradicates the less pleasant frequencies coming from under the hood and out the back end. It can't do anything about road and wind noise, but that's fine, because the Escalade handles both well with standard laminated acoustic glass up front and in the windshield. And if that's not enough, a 16-speaker Bose audio system is standard. Cargo volume is impressive at 15.2 cubic feet in the base model and 39.3 cubes in the Escalade ESV with a flat load floor. Fold the third row down and those figures swell to 51.6 and 76.7. The aging body doesn't hold up too well in crash testing, but active safety equipment is broadly accessible. While Cadillac has managed to upgrade the Escalade's powertrain and keep its cabin and driving experience competitive, it's much more difficult to make adjustments for crash testing outside of full-scale redesigns. Active safety equipment is competitive, although the Escalade is in danger of falling behind. Its automatic emergency braking system only works at low speeds, while adaptive cruise control is only available on the Escalade Premium Luxury and Platinum. That said, the loftier trims add rear automatic braking to the mix. Four option packs cover a $20,000 price range, giving customers plenty of choice in how their 2018 Escalade is equipped. Cadillac offers the Escalade in four trims, all of which are well-equipped. 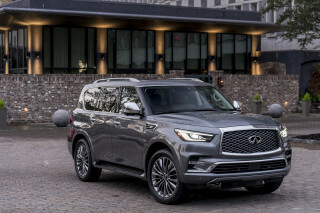 Even the $75,990 base model gets a 12-inch digital instrument cluster, navigation, Apple CarPlay and Android Auto compatibility, an automatic parking system, a surround-view camera system, Magnetic Ride Control, LED headlights, a power liftgate and a 16-speaker Bose audio system. The seats are leather and the front chairs feature 12-way adjustability and three-stage heating, while drivers grasp a heated, leather-wrapped steering wheel. The $81,590 Escalade Luxury takes all that and adds 22-inch wheels, a suite of active safety systems that has just about everything but adaptive cruise control, a head-up display, and a full anti-theft suite. Moving up to the $85,990 Escalade Premium Luxury adds adaptive cruise control and automatic rear braking to the safety suite, along with LED cornering lights and a rear-seat entertainment system with a single 9.0-inch screen and a Blu-ray DVD player. Finally, the $95,090 Escalade Platinum adds upgraded semi-aniline leather upholstery, a leather-wrapped dash, a suede headliner, 18-way front seat adjustability with massage and cooling functions for driver and passenger, a cooler function for the center console, 22-inch wheels, an even chrome-ier grille, power side steps, and twin 7.0-inch displays in the back of the front headrests, rather than the Premium Luxury’s single-screen setup. All Escalades feature an 8.0-inch touchscreen display, which is the main contact point for the Cadillac User Experience, a polarizing infotainment system that feels loosely related to other last-generation GM infotainment setups. It’s merely okay. Its menus are occasionally difficult to navigate while the graphics themselves aren’t very attractive. But standard Apple CarPlay and Android Auto mean ignoring CUE is as easy as plugging in a compatible smartphone. 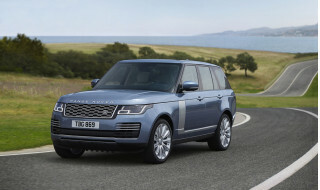 Optional extras are limited mainly to dealer-installed accessories and wheels. 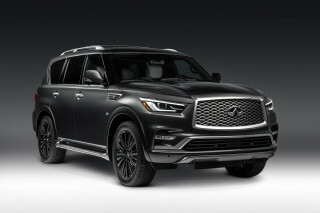 Both of the Premium Luxury and Platinum’s rear-seat entertainment systems are available on lesser trims, with the 9.0-inch setup demanding $1,720 and the twin-screen arrangement requiring $1,995. A 10-speed automatic has a mixed impact on fuel economy, improving highway ratings at the expense of city numbers. 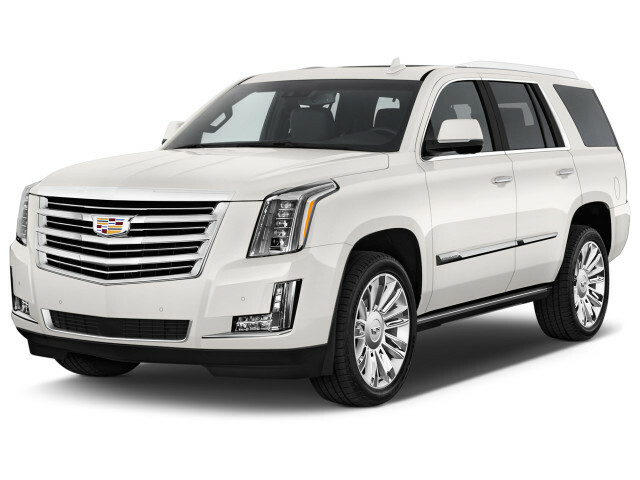 In our experience, the Escalade approaches those numbers in the real world. During highway cruising, we were easily able to stay in the high teens—considering the freezing conditions during our time with the Escalade, that kind of performance is more than acceptable. 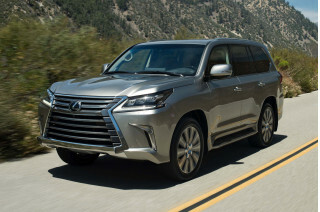 The Escalade's cylinder deactivation system likely helped. By flashing the engine's current behavior on the instrument cluster, it's easy to take advantage of the system's fuel-sipping ways. Looking for a different year of the Cadillac Escalade?